Thousands of small-scale farmers across East Africa will soon be using their feature phones to buy, sell and receive payments for their goods through a mobile app and SMS service developed by Mastercard. 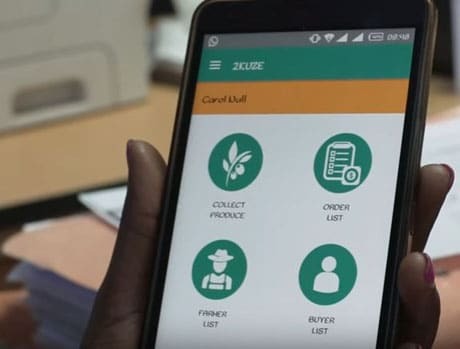 The payments giant says 2Kuze offers farmers greater price transparency, more direct access to buyers and financial services, and “paves the way to a cashless agricultural sector”. The service is currently being piloted with 2,000 farmers in Nandi Hills, Kenya, through Cafédirect Producers Foundation, a non-profit organisation working with 300,000 smallholder farmers globally. “A buyer will order vegetables or fruit using the 2Kuze app and an SMS will be sent to the farmers,” Mastercard explained to NFC World. “After the message has been sent out, the farmer who has the products will reply to the registered 2Kuze agent. “Eighty per cent of farmers in Africa are classified as smallholder farmers, having less than one to two acres of farming land, making it extremely difficult to drive growth and prosperity within this community,” says Daniel Monehin at Mastercard. 2Kuze was developed at the Mastercard Lab for Financial Inclusion in Nairobi, which was set up in 2015 through an US$11m grant from the Bill & Melinda Gates Foundation.